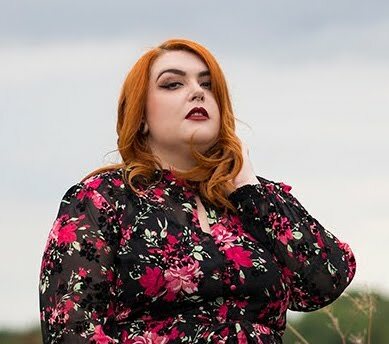 Thrifty Finds - Foxes, Flowers and More! - Sugar, Darling? Thrifty Finds - Foxes, Flowers and More! I've attended quite a few antique and curio fairs over the last couple of weeks and come out with some great finds! I'm particularly fond of the smiley fox broach above - I paid £5 for him which is quite a lot really, but I couldn't resist his happy little face and bright red enamelled tongue! 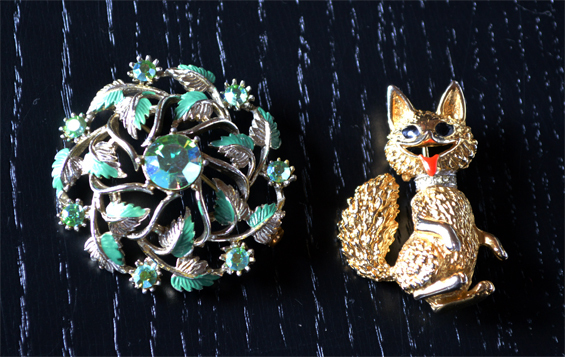 The pretty aqua vine broach on his left was £3 and looks lovely on a jet black sweater. 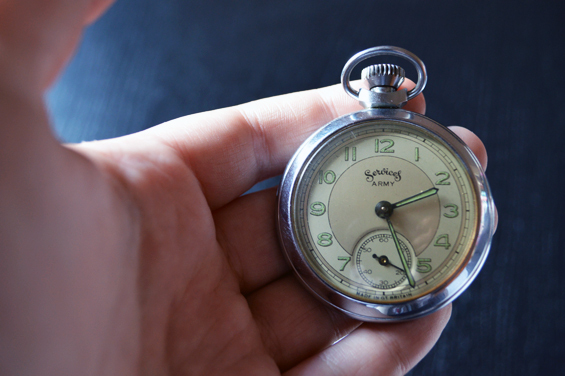 Pete had sent me on a mission as he just got his first three piece suit and wanted a pocket watch to go with it - this lovely piece caught my eye with its lovely pale green numbers and hands. Apparently it was made locally in Leicester and from what we can find online is probably from the mid 1950's - if anyone has anymore information about these watches please let me know as Pete is very interested to know more about it! 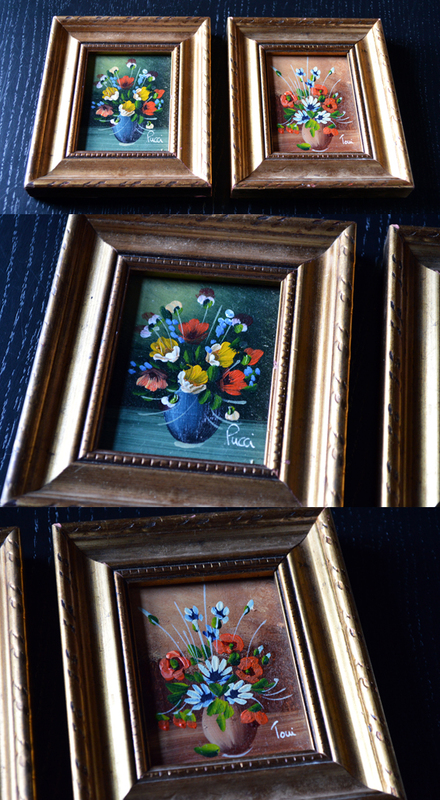 I bought these two little oil paintings from my local bric-a-brac market for £4 - they're not really anything special but they remind me of a tea tray my grandparents used to have that was black with the same style flowers on. 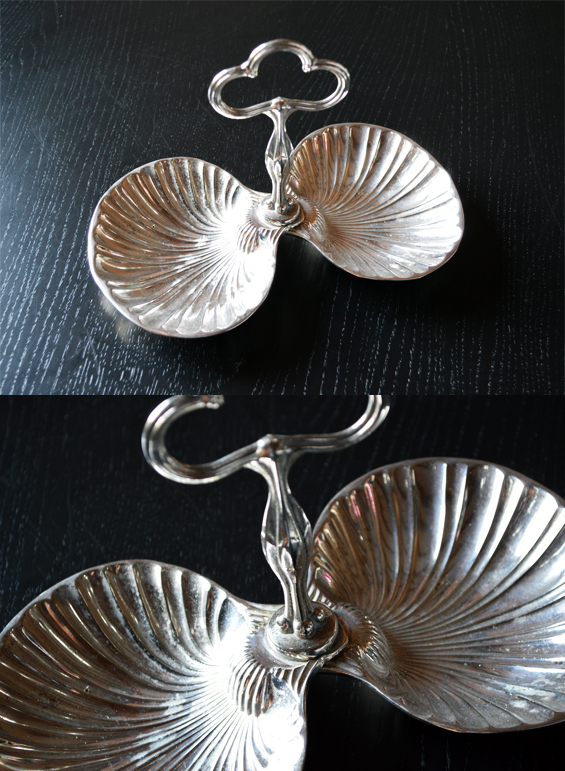 This silver seashell vanity tray was from a curio fair on Sunday. It's a bit tarnished which I think is why it was only £4.50, but it's quite big and will be very useful for storing rings and plugs. 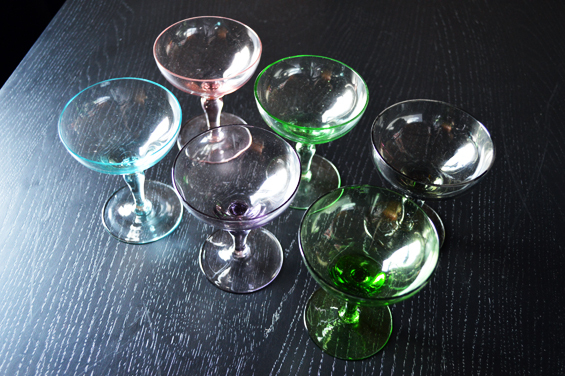 I have probably mentioned that I have a real thing for champagne saucers and old martini glasses before, so it's no surprise that this little rainbow set has made it into the collection. I paid £6 for the set - as you can say they need a bit of a dust and polish!!! This was just a silly little 50p purchase because I loved the little bird couple on the front. 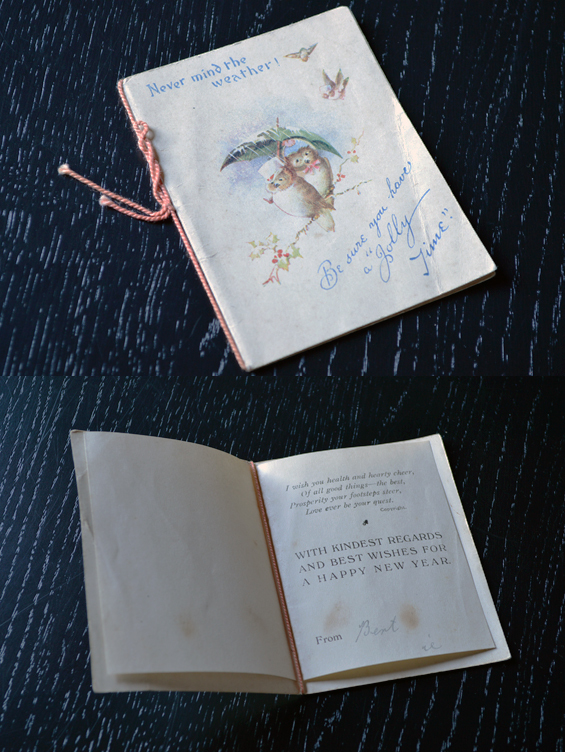 I only saw that it was signed when I got it home - isn't Bert a great name? Have you found any great thrifting bargains lately?